Get March 21 (22 in Australia) in your diary, Supreme and Nike are hitting us with their latest collaboration. Coming at you in the form of the Nike Air Tailwind IV, Supreme have dressed this 90s-inspired silhouette in two prime colourways. Available in black, with metallic-blue accents, and white and red—the Nike Air Tailwind IV features a leather upper, with bouclé and suede side panels. Other details include iridescent piping and of course co-branding, which is sported via a debossed logo on bouclé tongue, embroidered logo on the side and printed logos on the heels. In addition to the sneakers, the drop also features two running caps with the same colour combos. 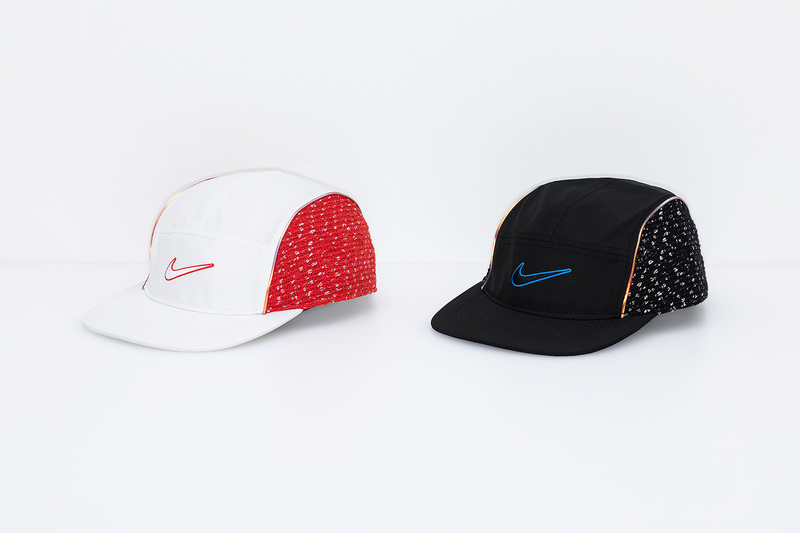 The Supreme x Nike Running hat features Nike’s elite Dri-FIT featherlight fabric, with bouclé side panels and piping. And, of course, everyone’s favourite swoosh embroidered on the front. Now, the important details; this Supreme x Nike collaboration will drop in-store in NY, Brooklyn, LA, London, Paris and online on March 21 (US time). 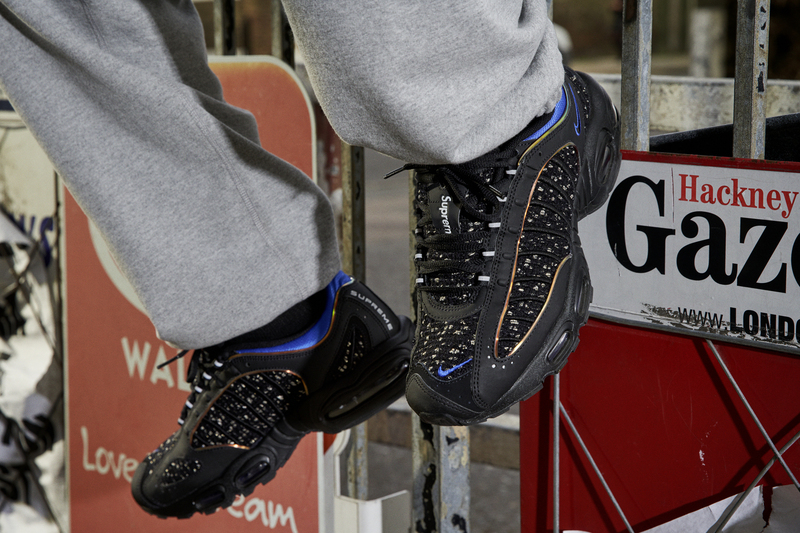 Or if you happen to be in Japan, they’ll be copping them on March 23.